A few new bits this week. Gen Honda oil filter (and removal tool) so that I can drop the oil to swap the sumps over. 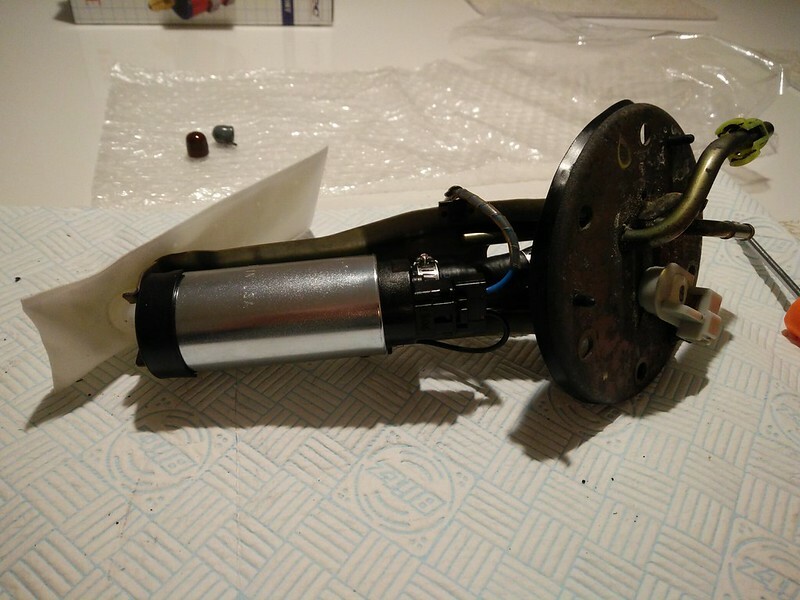 Also received the replacement fuel pump and sock. 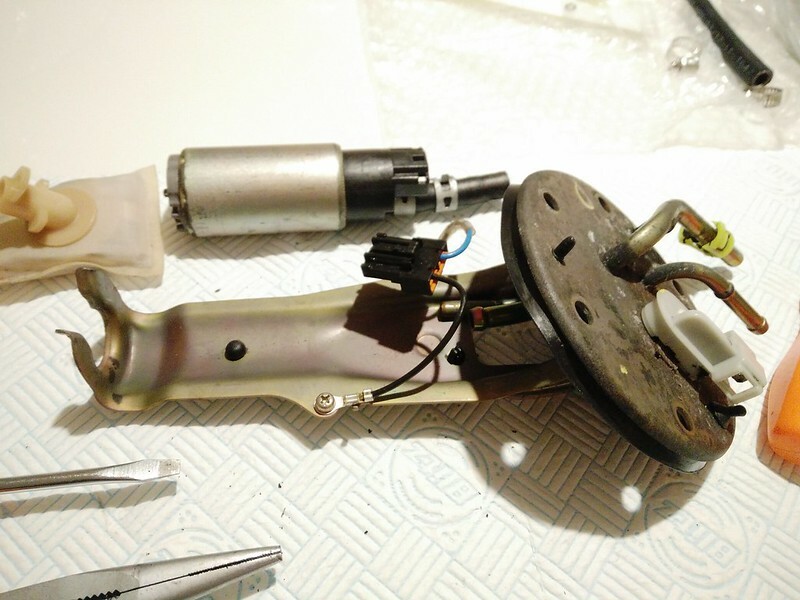 So, I set about swapping the fuel pumps over so that I can get it back in the car, drop some fuel in it and then turn the car over. Hose loosened and pump removed. And new pump and sock installed. 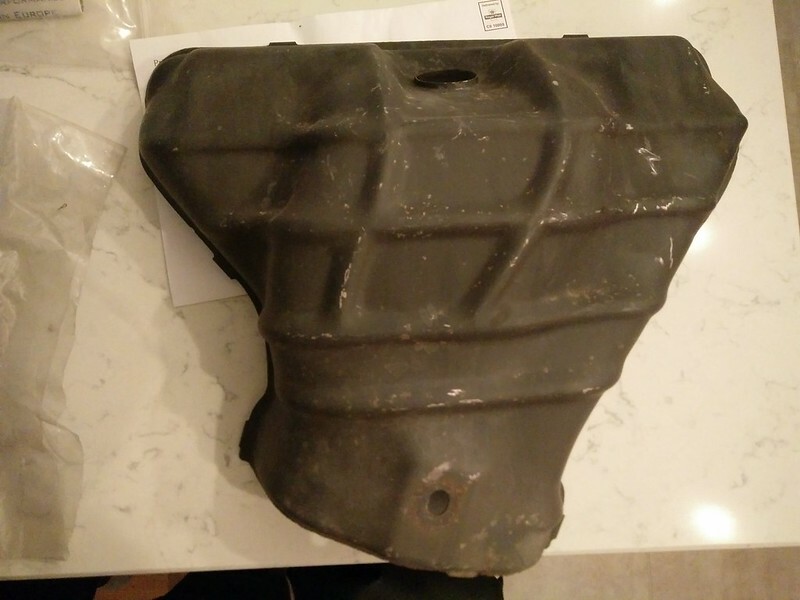 Will get it installed and keep my fingers crossed that it's a goon 'un. 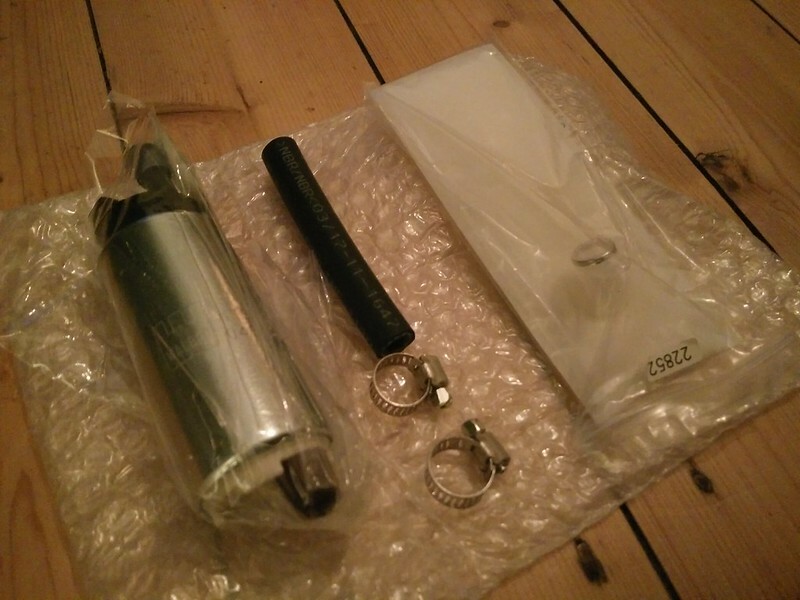 A few new bits arrived. 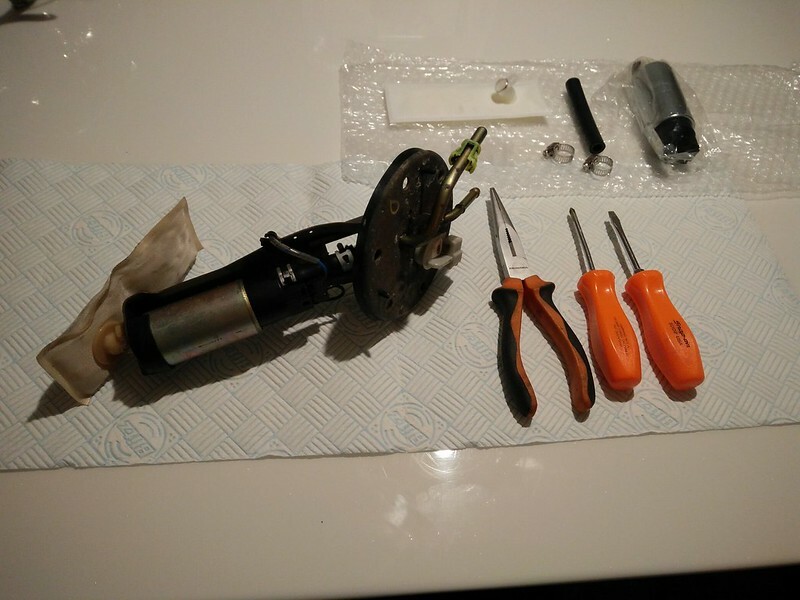 Inner tie rod ends, new fuel pump base seal and a new engine earth cable. 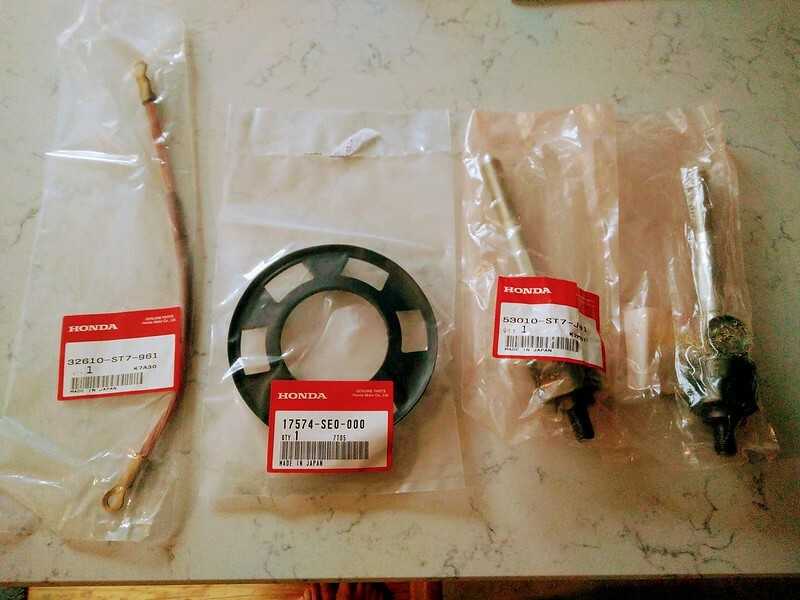 More new parts. 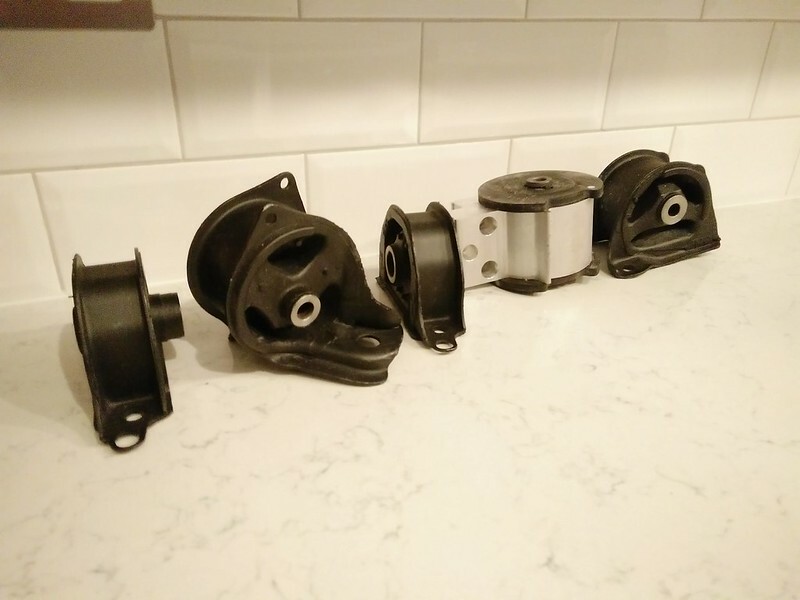 Full set of new OEM engine mounts ready to go in. Got loads of parts and work to do on the front end now so going to get it up in the air again and start stripping it down. Hopefully won't be too much of a struggle to get the rear lower mount in with plenty of bits removed. time will tell. Weekend update. Got an opportunity to spend a few hours on the car this weekend. Now I've been experiencing a minor version of something similar to what people describe as the 3k rpm exhaust buzz. 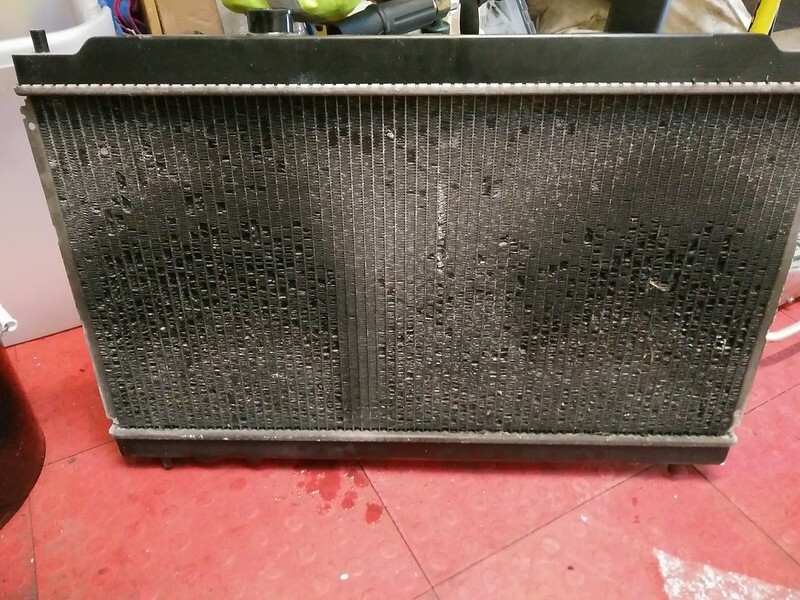 Initially I thought it was a loose heat shield, however as I'd removed, refurbed and refitted all the heat shields I was pretty certain it wasn't that. 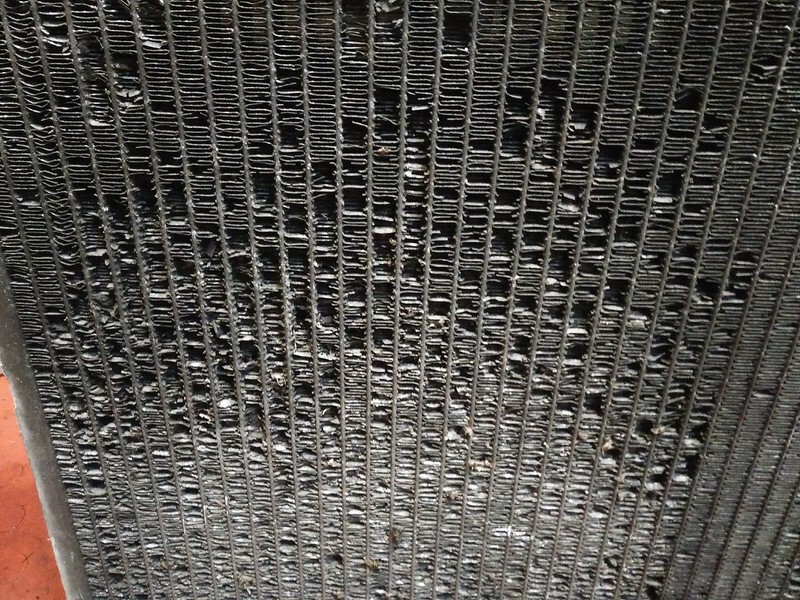 The manifold bottom end is double walled and when the insulation between the two walls breaks down you get this resonance issue which makes the rattle. 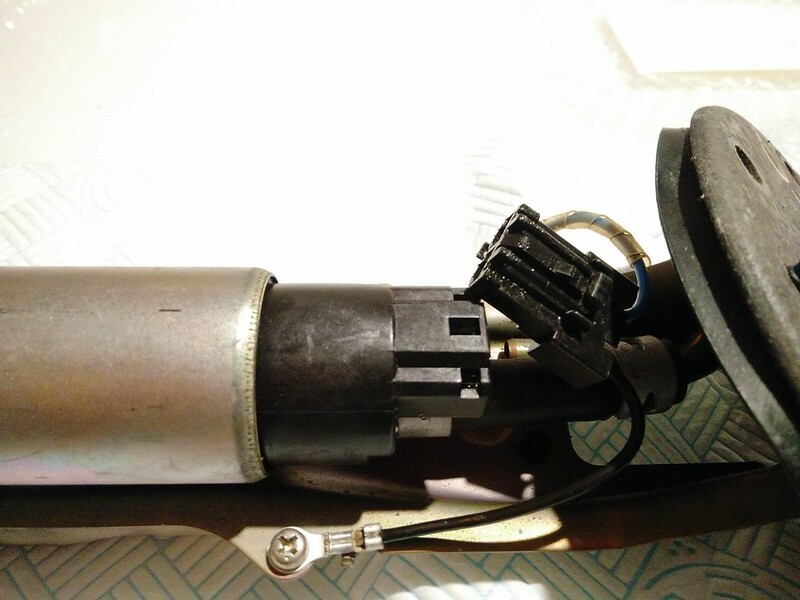 A quick google search suggests this is pretty common issue, certainly across the UKDM, EUDM and USDM cars. Not sure if the JDM cars manifolds have that same double wall construction. So, first up heat shield off. Looked in pretty decent condition on the car but now it's you can see that the bottom edge is pretty rotten and there's also a decent crack in it. 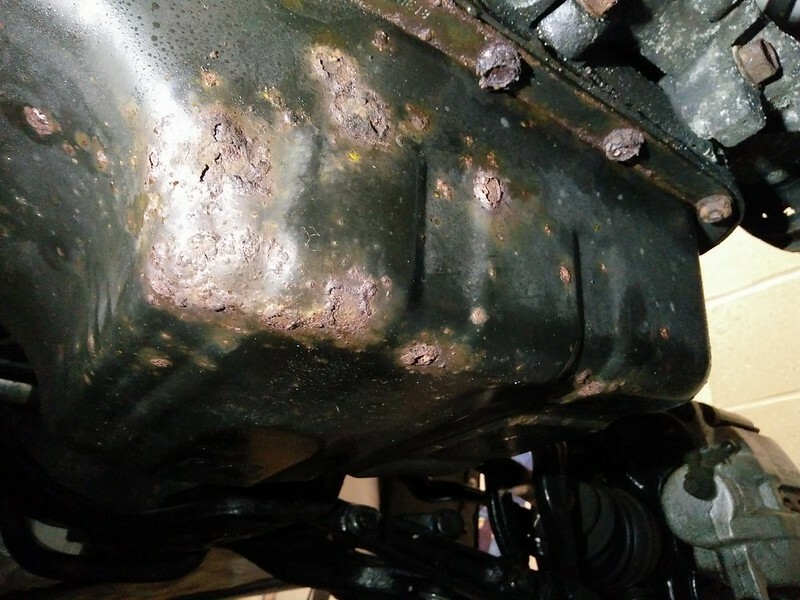 Searching for a replacement on Ebay suggests these cracks are reasonably common and as they're UKDM specific, so is corrosion which could make getting a decent condition replacement a bit of a mission, especially as 'shock-horror' it appears Honda have discontinued them. Nevertheless I'll keep my look out for a decent one that's not priced like it's made from unicorn hair. So, now off with the manifold. All came off nice and easy. It helped that the cat/manifold had been split for the underfloor refurb but everything else came apart nicely. 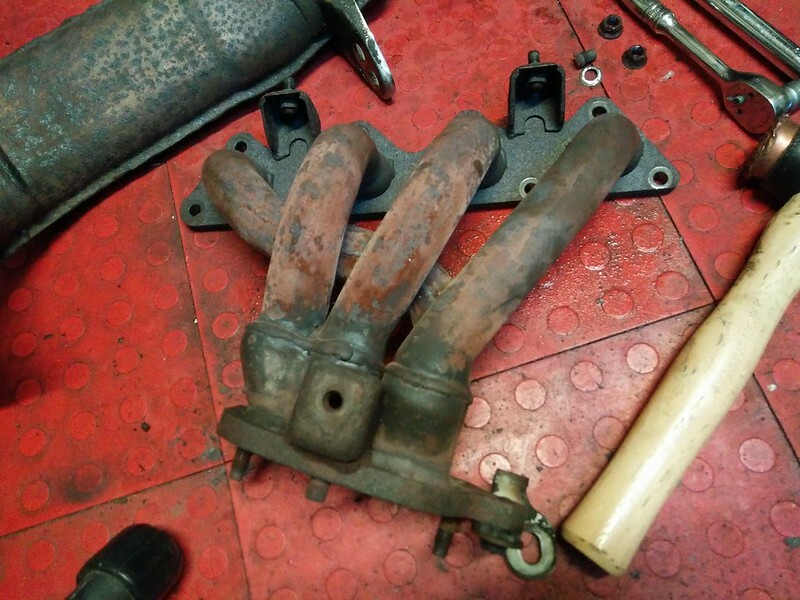 So, once off the car I had a good look over the manifold. All looked good apart from one of the nuts (there are three) which hold the top and bottom halves together. 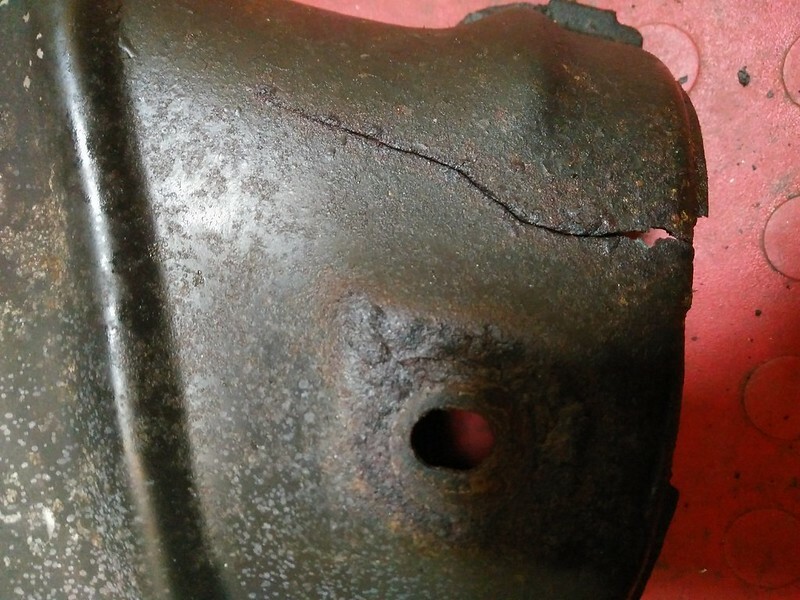 This is the nut facing the front of the car and clearly 20 years and 70k miles has taken its toll. I actually had to check the parts diagrams to make sure that it was meant to be a nut! 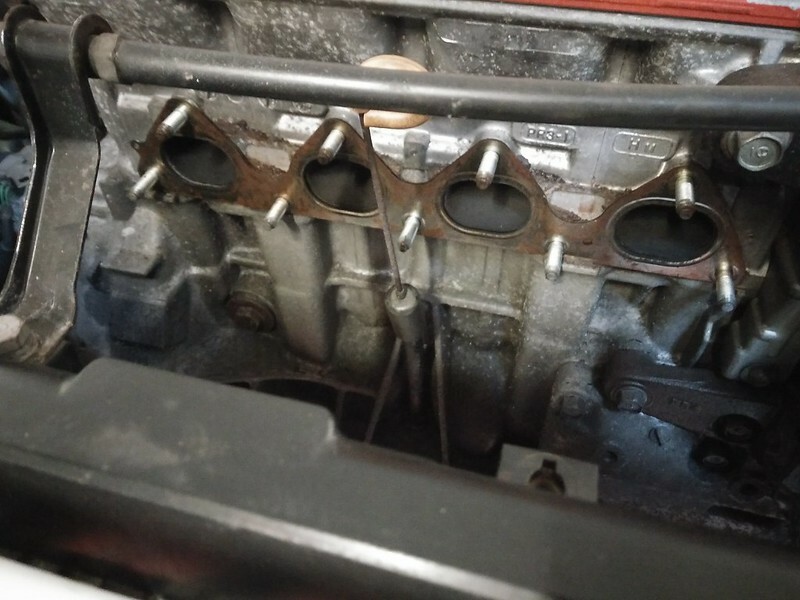 In my younger days I've have been tempted to sort the resonance issue out and just put the manifold back on the car but my OCD can't leave a fastener like that these days so I decided I was going to have to split the manifold and renew the studs and nuts joining the two together. As predicted, the two good nuts came out nice and easily, the third problem 'nut' took some persuading with the grinder. Came apart in the end though. 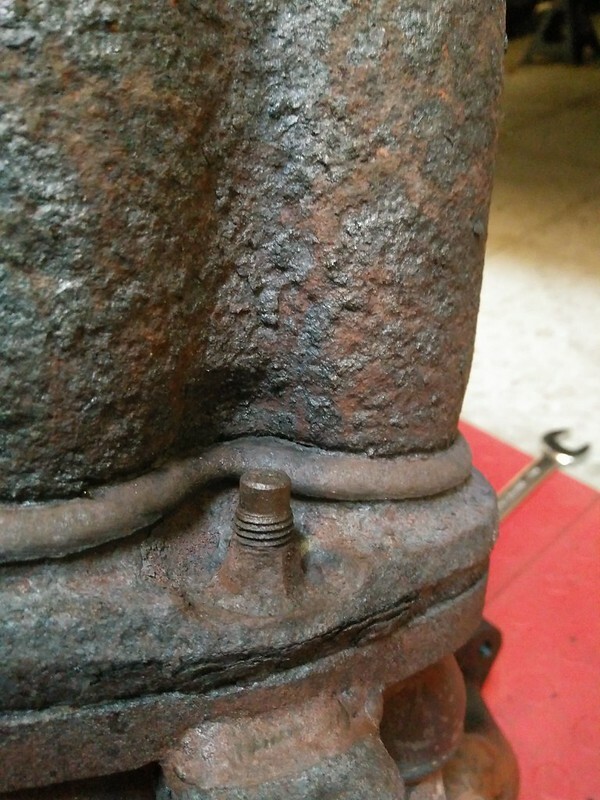 Now I've just got the struggle of getting the old exhaust stud out of the top part. Currently soaking in Plusgas and awaiting a date with my mole grips and some heat. 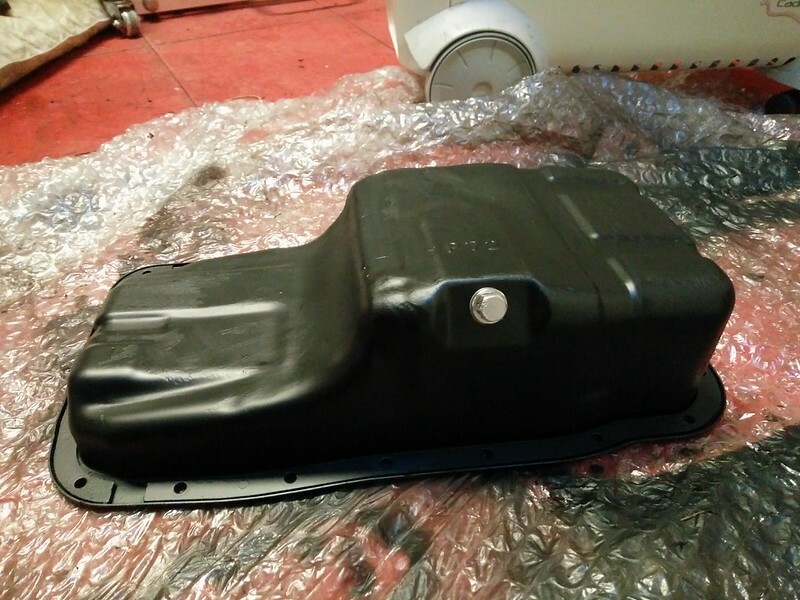 Next up, some of you will remember that I previously mentioned about the sump on my car being a bit scabby. Picture below of said scabby sump. Set about getting the replacement unit ready to go on. A quick buzz over to remove any surface corrosion and then a few coats of high temp satin black engine enamel. All ready to be fitted once I get a new OEM sump gasket. Finally I drained the coolant and removed the radiator. I'd noticed previously that the fins weren't in a particularly good shape so had already bought a replacement ready to go in. 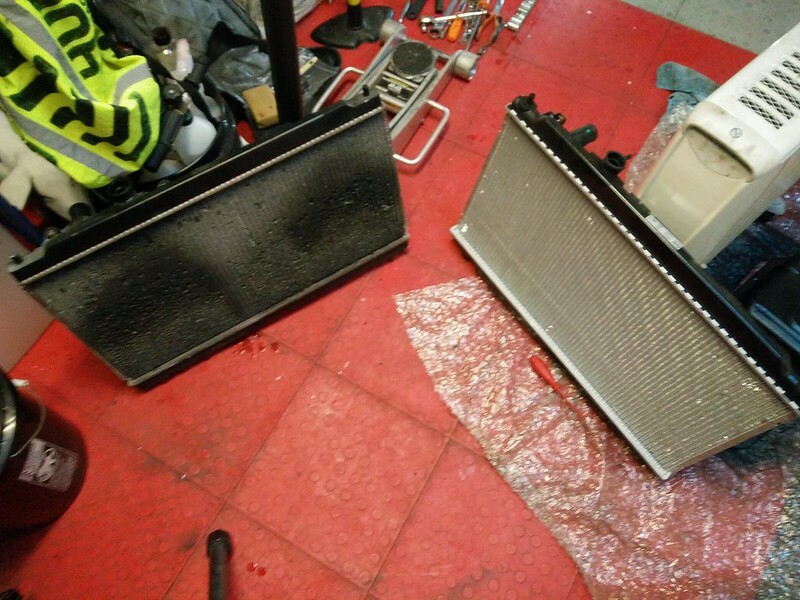 Old rad below and a comparison against the new one. Just need to mount the fan unit onto the new one and then I'll get it all put back together one the manifold is sorted and back in the car. 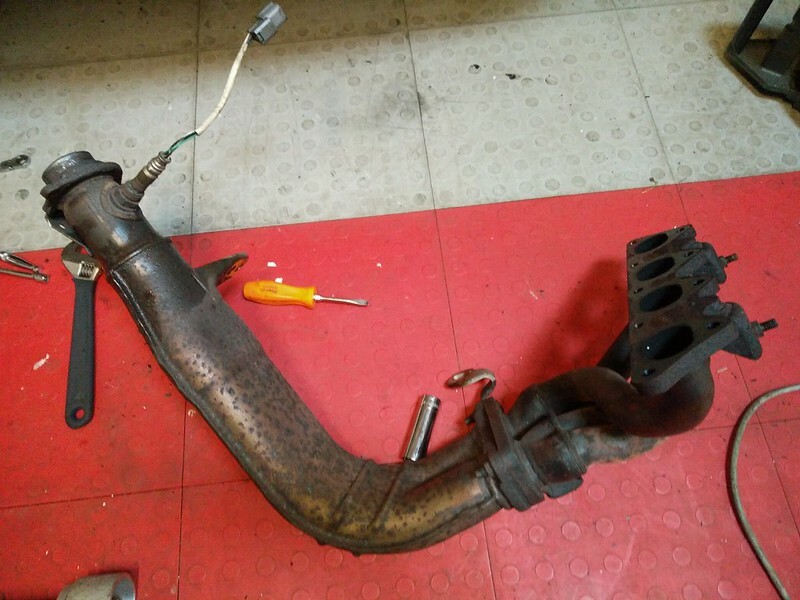 Have you considered getting the manifold sand blasted and welded up? I can't help but think a replacement will just crack too if it's a common issue? It's only the tin manifold cover that's cracked. As it's only thin plate it's pretty rotten at the bottom. I'll just keep any eye out for one that's in better condition than mine and then get refurbed. Ha, got my eye on a Citroen DS project for when this is finished, although with old cars is it ever truly finished!? Few bits in the post. New heat shield to replace my cracked one. Will get a refurb before it goes back on but importantly it''s pretty much corrosion free. 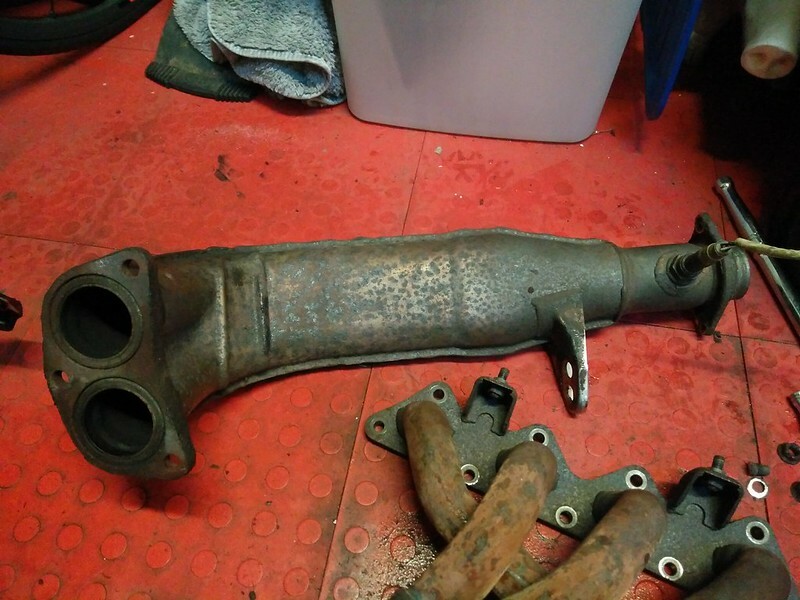 Also picked up the mid-manifold mount as the one on the original manifold is pretty grotty. Again it'll get a refurb before going on. 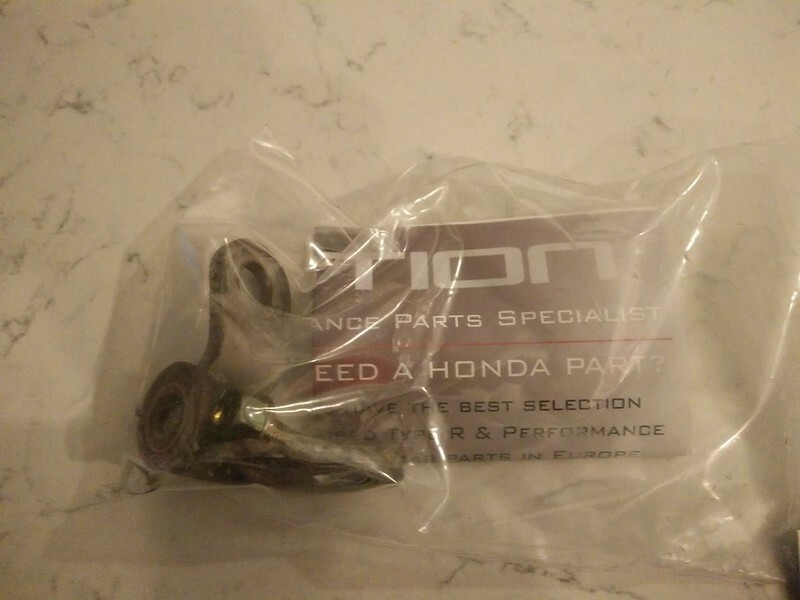 Got the above parts from R Motion (Honda breakers) on Ebay. A bit spendy but really good to deal with and a god-send for the more difficult to locate parts in the right condition. 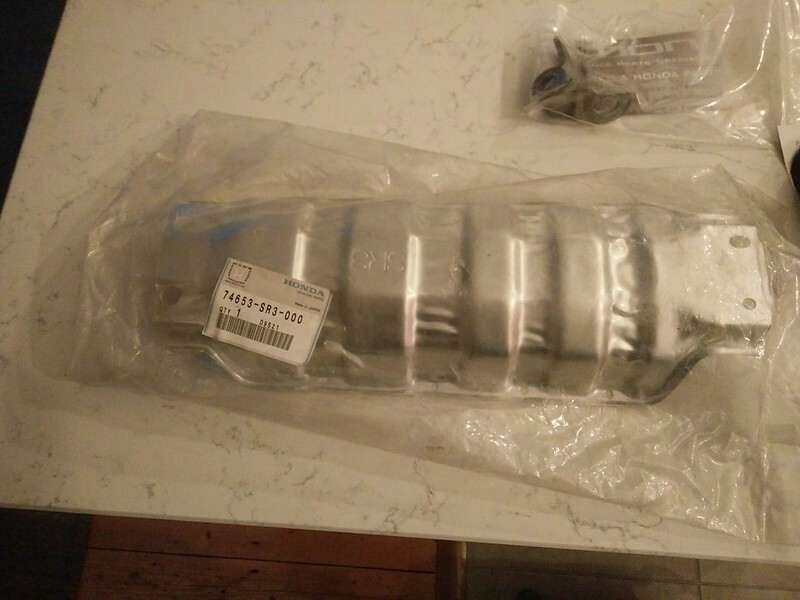 Also picked up a brand new b pipe heatshield separately. 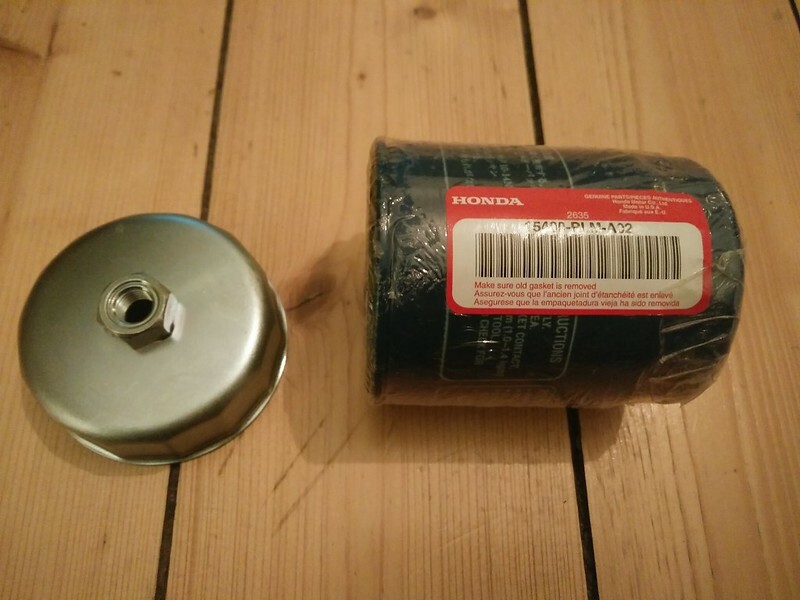 I don't actually need this but it was £7 (Honda dealer price is alot more) and I'm a sucker for anything in its original packaging. Will throw it on when I next have the B Pipe off.